View the entire table of contents for the April 30, 2018 issue. The American 2017 wine auction market was back on top as it rose 10 percent over 2016. Other international markets rose as well due to the robust stock market. 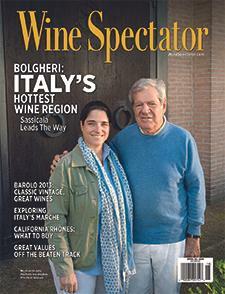 Wine Spectator's Peter D. Meltzer reports. For the full article, check out the new issue of Wine Spectator, on newsstands March 20, 2018.